Cantu decided to renew Micov after a good season. The renewal was not announced by Cantu themselves, but instead it was announced by Micov's agent. Beobasket agency announced the renewal as it usually does before the official announcement arrives. In Cantu this past season he averaged 11.8 points 4 rebounds and 2.6 assists in 24 games. 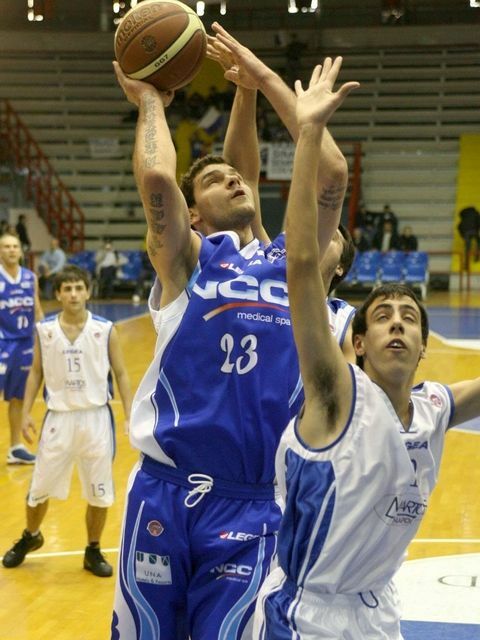 Micov grew up at Beopetrol Belgrade in his native Serbia and has also played for Nova Pazova, OKK Belgrade, Lavovi 063 Belgrade and Partizan in Serbia as well as Buducnost Podgorica in Montenegro and Panionios in Greece. Before Cantu he played briefly for Baskonia in Spain replacing the injured Pete Mickeal. Spanoulis could have with Olympiakos already? Aris interested in Gary Forbes? New offer from Minnesota to Pekovic? Josh Childress : I'm undecided..
Cremona will try to sign Bramos.. again..
Dusan Ivkovic arrived in Athens..
Ivkovic returns and what of Spanoulis? The Nuggets want Kleiza back? Clay Tucker is taking one more shot at the NBA. Olympiakos to get rid of Childress' contract? Carl English denied rumors about Bilbao. Olympiakos want Vujosevic and Maric? Maccabi interested in Jeremy Richardson? Sharon Drucker a candidate for Aris? Maroussi in trouble, merger ahead..
Spanoulis and others staying, Pekovic waiting..